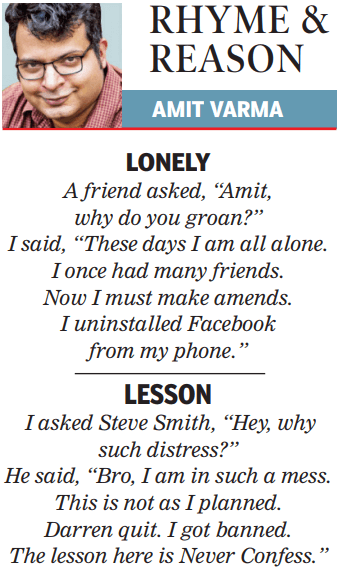 This is the 75th installment of Rhyme and Reason, my weekly set of limericks for the Sunday Times of India edit page. I said, “These days I am all alone. I once had many friends. Now I must make amends. He said, “Bro, I am in such a mess. This is not as I planned. Darren quit. I got banned.